Storytelling Activities for the ESL Classroom. Storytelling games are very important in any learning environment. They are particularly important when working with students as they encourage them to use their imaginations. The games also help to instil confidence in students and to develop both their receptive and expressive skills. 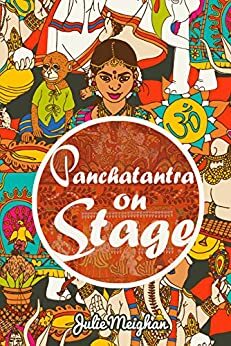 The following activities are a fun and enjoyable way of developing storytelling techniques. A variety of tenses, comparatives, adjectives, nouns, verbs, conjunctions, vocabulary, question formation and different parts of speech are the main language aspects that are practiced in this section. Other benefits: This activity practices sequencing and develops the students’ imagination. Instructions: Story stones are smooth, flat stones. Each stone has a picture of a character or animal or object on it. The story stone can be created in many ways. The students can paint a picture on it, or they can draw on the stone with a permanent marker. Alternatively, they can use cut outs or fabric scraps to make their story stones. All the stones are put in a tray. One student chooses a stone and they start a story. Each student picks a stone and uses it to add to the story. Other benefits: This game practices adjectives and the past tenses. Resources needed: A collection of different types of shells. The shells can be replaced by other objects such as books, shoes, stones, chairs. Instructions: Every one sits in a circle. Different types of shells are passed around the circle. The students must come up with an adjective such as rough, smooth, hard, soft, big, small to describe each shell. Divide the class into groups of three or four students in a group. Each group chooses a shell. They must come up with a life story about the shell. How did the shell land on the beach? How old is the shell? Does the shell have any family? What happened on its journey to the classroom? Give the students some time to come up with their story. Tell them that they can be as imaginative as they wish. Each group must tell the rest of the class their shell’s life story. Game: Four Ws -Who, What, Where, When. Other benefits: This game focuses on vocabulary development as well as giving tuners an opportunity to practice different type of tenses. Resources needed: Four categories of cards with who, what, where, when on them. Instructions: Divide the class into groups of four. Each member of the group chooses a card from a different category. Each group should end up with a who, what, where and when card. They must make up a story based on their cards. When each group have developed their story either tell or act out it for the rest of the class. 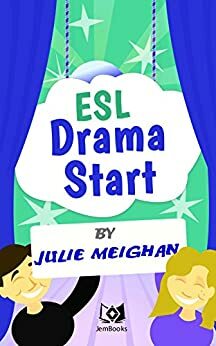 For more ESL drama ideas click below.